After seeing my Fiddle Head Mittens, my father asked if I could make him a pair of colorwork mittens... but perhaps something less girly looking. 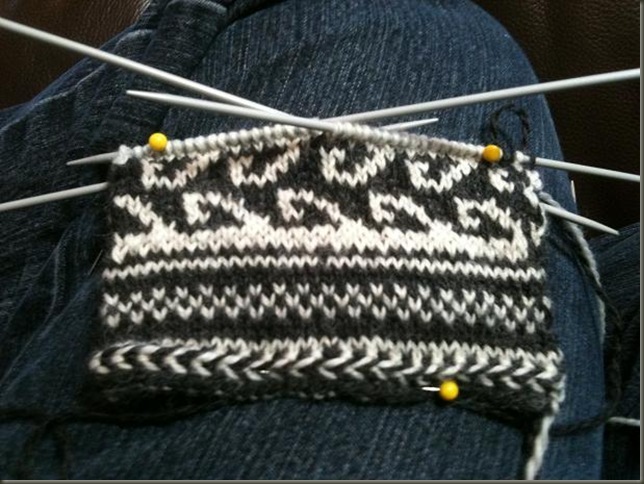 I decided to try and come up with my own mish-mash of a pattern instead of knitting one directly from a book. It seems that many of the Norwegian style mittens feature different motifs with different meanings - so I thought it would be fun to incorporate symbols with some meaning to dad. In particular, he is a sport fisherman who spends as much time as possible in the springtime sitting in a boat hunting for that elusive granddaddy rainbow trout. 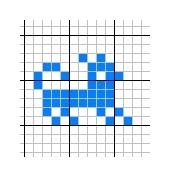 So obviously, this mitten needs a fish of some sort on it, and I will probably use a motif for the palm of the hand that looks like fish scales. Also, Dad is a big fan of his dogs (2 adorable shih tzus - Molly and Sophie) so I hope to be able to add in a small dog motif for them too. 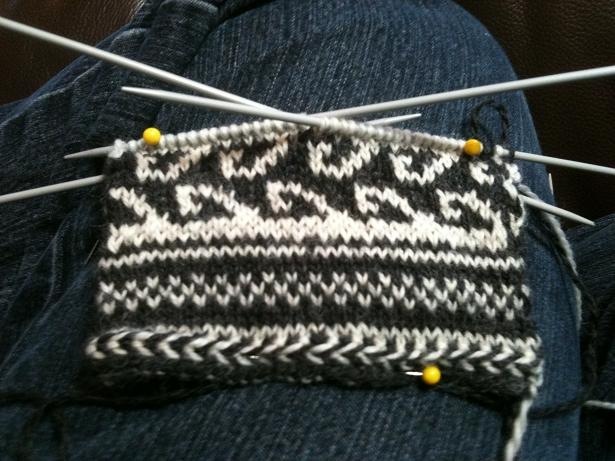 Here is the first cuff underway. I have charted out the wrists, but am having a hard time putting on paper the thumb gusset... My plan is to just wing it for the gusset and then continue on with my fishy idea for the back of the hands and the fish scales for the palms. The other big unknown - He wants mittens with separate "pointer" fingers and the other three fingers together... like Newfoundland Mittens. Apparently he finds that mittens shaped that way (while a little "live-long-and-prosper-ish" Mr. Spock!) more utilitarian and easier to maneuver around with. So the end result will be kind of like a glove, but with one finger by itself, and the rest like a mitten. I might have bitten off more than I can chew? 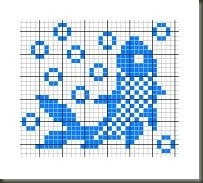 Here is a sneak peak of the Fish motif (modified from Fisherman's Friend Mittens by Jorid Linvik to be a single fish, and to look more like trout and less like Koi) and some of the other motifs I plan on incorporating! 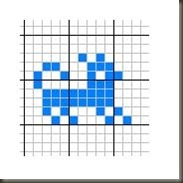 The little dog pattern is from Traditional Scandinavian Knitting by Sheila McGregor. That is going to look so cool! Love that your Dad asked for them! These look great Jolene. I can't wait to see the finished product. I love the colours. What fun! Looking great already. Thanks very much! I genuinely loved reading this. It makes me want to make my own blog. I do not know what subject though? I am a bank teller but can't imagine many people wanting to read about that! Perhaps I'm wrong. Any ideas? You are so true correct on that! if i upgrade my blog, is it going to keep my same settings?